Caption: The documentary film, Maryland’s Heart of the Civil War, concentrates on stories of civilians on the home front, battles, and the aftermath of war involving the care for the wounded. Frederick, MD – On September 4, 2012 the world premiere of the documentary film Maryland’s Heart of the Civil War debuts during “Frederick Occupied: Civil War Comes to Maryland,” a special event at the Weinberg Center for the Arts in Frederick, Maryland. This kicks off an impressive series of fall events taking place during the 150th Commemoration of the American Civil War’s 1862 Maryland Campaign. The program will run from 7-9 p.m. and also feature special guest Mr. Ed Bearss, renowned authority on the American Civil War and retired Chief Historian for the National Park Service. Other program highlights include period musical selections performed by the Federal City Brass Band and their "alter ego," the 26th North Carolina Regimental Band, and the launch of the new Maryland Civil War Trails App. The film debut and related programming on September 4, 2012 is free and open to the public on a first come, first serve basis. Registration is not required, but an RSVP is appreciated for those planning to attend this special event. The “Frederick Occupied: Civil War Comes to Maryland” program on September 4, 2012 marks the actual 150th anniversary of General Robert E. Lee and his Confederate Army’s first occupation of the North, which became known as the Maryland Campaign. Frederick was the largest Union town that Gen. Lee and his army would occupy during the Civil War. The 1862 Maryland Campaign Commemoration explores the impact of Lee’s first advance of the Confederate army into the North, beginning with crossing the Potomac River into Maryland, the occupation of Frederick, and the Battles of South Mountain and Antietam. The Maryland Campaign concludes with the anniversary of Abraham Lincoln issuing the Preliminary Emancipation Proclamation. The documentary was produced by the Tourism Council of Frederick County, Inc. in partnership with Maryland Public Television (MPT). “The film’s purpose is to introduce viewers to the compelling heritage stories and tourism opportunities within Maryland’s Heart of the Civil War Heritage Area, which is comprised of Frederick, Carroll, and Washington counties,” explains John Fieseler, Executive Director of the Tourism Council. “The sites in this film such as battlefields, museums, and scenic byways can be experienced beyond the Civil War Anniversary period,” he added. Heritage travelers seeking these types of historic and cultural sites represent a significant segment of visitors to Frederick County and the surrounding area. Studies have shown heritage travelers spend an average of one and a half times more than the average traveler, said Fieseler, which makes them a vital part of the local economy. “We’re expecting a great crowd for this much-anticipated event,” says Fieseler, adding that many local Civil War historians who are featured in the documentary film will be in the audience to view it for the first time on the big screen. The film illuminates the border state experiences of mid-Maryland throughout the Civil War. The debut will also mark the first public show in Frederick’s Weinberg Center since recent renovations were completed. “The crew and I spent two days at South Mountain State Battlefield, filming scenes for the documentary,” says Tourism’s Chris Haugh, Scenic Byway and Special Projects Manager. The story of the Battle of South Mountain’s role in the Maryland Campaign is featured in the film, and a cast and crew of more than 30 were used to capture footage there. Scenes were also taken at Monocacy and Antietam National Battlefields with the cooperation of the National Park Service. The American Bus Association named the Civil War 150th Commemoration of the Maryland Campaign as one of the Top 100 Events in North America for 2012. Throughout this period, a number of partners are joining together to commemorate these historical milestones, with key battle anniversaries of South Mountain and Antietam and related programming falling in September. From now through October 31, 2012, Monocacy National Battlefield will display Lee’s famous “lost order,” Special Orders #191, on loan from the Library of Congress. These Confederate orders were found by Union soldiers on land that is now part of the Monocacy Battlefield, and some historians believe the discovery directly impacted the outcome of Lee’s Maryland Campaign. On September 21 and 22, the National Museum of Civil War Medicine presents Frederick: One Vast Hospital, a self-guided tour of churches and other sites that served as hospitals after the battles of South Mountain and Antietam. "Maryland’s Heart of the Civil War" is scheduled to air on Maryland Public Television on September 11, 2012 at 8:00 p.m. The film was produced by the Tourism Council of Frederick County in partnership with MPT, and made possible by grants from the National Scenic Byways Program and the Maryland Heritage Areas Authority. Maryland&apos;s Heart of the Civil War Heritage Area includes portions of Carroll, Frederick, and Washington counties and is part of the Journey Through Hallowed Ground National Scenic Byway and National Heritage Area. This event will also serve as the Heart of the Civil War Heritage Area&apos;s annual meeting. 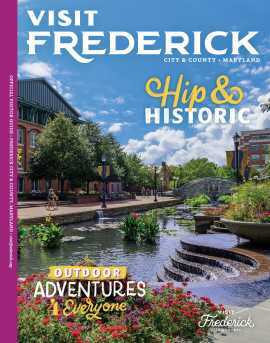 For more information on upcoming Maryland Campaign activities in Frederick County, visit http://www.visitfrederick.org/civil-war-150th. RSVPs are not required, but are appreciated if you plan to attend this event. This event is offered on a first come, first serve basis.